A Stronger West Ham. But Are There More To Come? Are things suddenly taking shape at West Ham and could there be more new arrivals on the horizon? What a difference a week makes as all of a sudden the mood has become far more upbeat in the West Ham camp. The confirmed signing of Marko Arnautovic, the anticipated arrival of Javier Hernandez , rumours of more exciting recruits and a pre-season victory against Fulham has lifted spirits to the point where talk of Europe is once again not purely limited to Brexit. The increased optimism tempered only by a worrying injury to Cheikhou Kouyate that threatens to keep him sidelined for the first month of the season. Assuming that the Hernandez deal goes through smoothly, and he is not kidnapped at Heathrow by Daniel Levy, then many of us might have suspected that the bulk of the summer business was now completed. After all the club had been hinting at maybe two, three or, at a stretch four new signings as the game changers required to contest the coming campaign. Despite this speculation continues to throw up new West Ham bound names with several players being regularly linked with a move to the London Stadium. Alleged targets on the Hammer’s radar include Keita Baldé Diao (Lazio), Raul Jimenez (Benfica), Jota (Brentford) and Badou N’Diaye (Osmanlispor). It is impossible to know whether any of the latest links have any substance but with the new policy of ‘keeping cards closer to their chests’ there could be a chance the Board may yet surprise us with a serving of ambition. For me, strengthening central midfield and the centre of defence by the injection of more pace remain priorities to produce a more competitive unit. Further unless our new Head of Medical, Gary Lewin, has developed the most miraculous of magic sponges for Andy Carroll and Diafra Sakho then a second striker option is also needed. A twin Mexican strike-force of Hernandez and Jimenez, though, would surely put an end to any thoughts of future pre-season tours to the USA. The other persistent rumour is that of Jack Wilshere who seems to be nearing the end of his time at Arsenal. Potentially a fit Wilshere would be a great addition but there are, of course, serious concerns over his injury record and troublesome ankles. Possibly some form of pay as you play deal would make sense. Going into the new season with better balance in the squad then raises the question as to how these new riches will be deployed on the pitch. My inclination is that with Pablo Zabaleta at right back the default will be for a back four rather than back three with wing backs. Maybe that assumption will be proved wrong but if not then it would require the wide midfield players (two from Michail Antonio, Andre Ayew and Arnautovic) to accept greater defensive responsibility. A reluctance to track back is one of the criticisms, along with consistency, levelled at Arnautovic during his time at Stoke. Similarly, it is not an obvious feature of Ayew’s game and the problematic trade-off between attacking flair and defensive cover is a key challenge for the coaching staff. The major pre-occupation of the summer has been, understandably, the search for the elusive striker but last season was also notable for leaking goals. The recruitment of Joe Hart and Zabaleta are positive upgrades but it was the way that we defended as a team that is the wider problem, not just the back-line personnel. 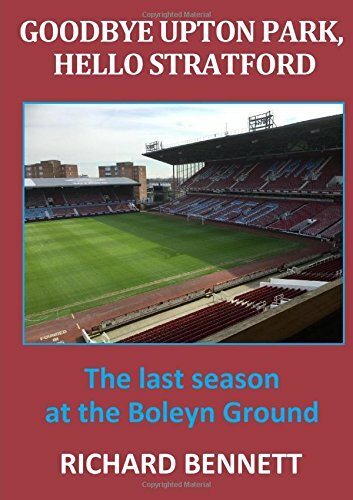 Principally greater pace and discipline are required in the centre of midfield; where Mark Noble lacks the pace and Kouyate lacks the discipline to effectively support Pedro Obiang. West Ham have been particularly vulnerable against the better footballing sides attacking through the middle as witnessed in assorted capitulations last term. Central defence during Winston Reid’s periodic absences also remains a cause for concern. With Antonio and Arnautovic likely to be providing the width, the play-making responsibilities in the central areas would seem to fall squarely on the shoulders of Manuel Lanzini with the only backup coming from Edmilson Fernandes. Possibly this is a position where Jota from Brentford could provide more competition. The transfer widow has also seen a steady flow of departures with Darren Randolph the latest to leave while Sofiane Feghouli and Robert Snodgrass should also be aware of the writing on the wall marked ‘Exit’ by now. All of this has generated a tidy inflow of funds which can hopefully be quickly re-invested to further strengthen the squad. In the wider Premier League world there is certain to be a lot more money changing hands over the coming weeks. To see Manchester City paying over £120 million for three full backs shows just how insane the transfer market has become and how fanciful the dream to become an established top four club is. At least we can now feel that we have a shout in the top of the mid-table mini league – and who knows there could even be a chance of a welcome extended cup run.. If we get Hernandez I will take back all the bad things I have said or thought about our lack of desire in the transfer window and hold my hands up and say I was wrong and fair play to the board and Slav for making it happen. Same with me. I have been quite frustrated by the transfer activity but Hernandez would be a fantastic and inspired signing. Previous Previous post: West Ham Have a Hart: Now If We Only Had a Striker!